The United States will nearly triple its military funding for the Philippines this year, the Philippine Department of Foreign Affairs said on Thursday, as tensions rise with China over disputed islands and Washington bolsters its alliance with Manila. However, the Philippines expressed concern over what it said was a sharp decline in its share of US foreign military financing (FMF) despite Manila’s central role in the US’s military “pivot” back to Asia. Foreign Secretary Albert del Rosario said the Philippines accounted for over 70 percent of total FMF allocation for East Asia in 2006, compared to 35 percent this year. 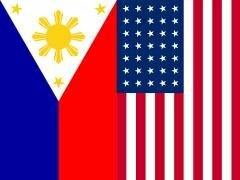 “We hope this is not indicative of the priority placed on the Philippines as a regional partner, as even non-treaty allies appear to be getting a bigger share of the FMF allocation,” del Rosario said in a speech at the Heritage Foundation in Washington, according to a Foreign Affairs statement. Washington agreed to provide $30 million in FMF this year, up from an initial 2012 allocation of $15 million and from $11.9 million last year. In 2003, funding amounted to $50 million as Washington sent forces to help the Philippines battle al Qaeda-linked militants. Please continue reading the rest of this story here.